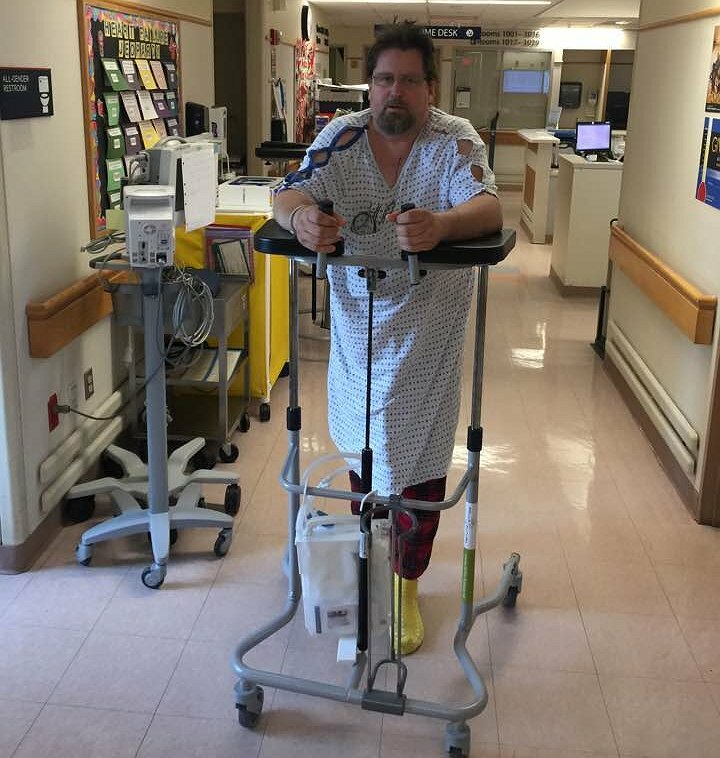 Help Jeff Get His New Heart! Jeff has been struggling with heart failure for several years. On December 1, 2015, Jeff had to give up his life-long passion of driving a truck because he had a defibrillator implanted. On December 22, 2015, his heart failure had advanced to the point where he was placed on the heart transplant list. He has been waiting for over a year and the wait continues. Jeff is a Navy veteran who belongs to both the American Legion and the Veterans’ of Foreign Wars (VFW). He is also a member of the Hamburg Moose Lodge #523. You may know him from one of these organizations or perhaps you’ve met him through our family, including daughter and stepdaughters, Marissa, Devon and Sara. After many years of helping others, Jeff is now the one who needs our help. Transplantation and follow-up medications and treatments are very expensive. Even with private insurance coverage, there are co-pays and deductibles, medications and clinics visits – costs could top $40,000! To help with the financial burden of Jeff’s uninsured expenses, a fundraising campaign in his honor has been established with Help Hope Live, a trusted nonprofit organization that has been providing community-based fundraising guidance to patients and their families for more than 30 years. All donations are tax deductible to the full extent allowed by law, are held by Help Hope Live in Mid-Atlantic Heart Transplant Fund, and are administered by Help Hope Live for transplant-related expenses only. To make a tax-deductible donation to this fundraising campaign, click on the Donate Now button. If we all work together we can make Jeff’s prospects for the future much brighter. Please know that your contribution counts and is greatly appreciated by Jeff and our family. Check out my new photos in the album Transplanted. Came a long way in just 3 days modern technologies and that was only half the crap I was hooked up too. We had our first fundraiser this weekend. We organized a comedy night at our local moose lodge here in Hamburg. It was a great success – great people doing great things. Sold out the venue weeks before event. Amazing how generous people are these days – lots of family and friends attended. After 14 months on the heart transplant list, we partnered with Help Hope Live. Wish we wouldn’t have waited that long but they are awesome people to deal with. Sending love to Terry, Jeff and the Marsh family. Praying for Jeff's health and for the transplant to happen soon. We are keeping you in our thoughts & prayers. We love you guys and we are all pulling for you! Keeping Jeffrey in our prayers! Thoughts n prayers n know everything will work out! Prayers for Jeff- Stay Strong Terry! Jeff, The waiting is always the hardest part! Any day now brother! Both you and Terry continue to be in my thoughts and prayers! prayers for u Jeff !! Love you aunt Jeanie !! Praying every day for your miracle. We know it is going to happen for you. All our love, Aunt Carol and Uncle Franci.